Windows 2000, XP, 2003,Vista, 32-bit x64 and Itanium platform; 64MB RAM (128MB recommended); 20MB Disk Space; FAT16, FAT32 and NTFS file system. One major contributor to the downgrade in PC performance is disk fragmentation. Put simply when files on your hard drive are not stored contiguously the drive heads have to work harder trying to locate the individual file components; this, inevitably, results in delays and consequently the requested file is not delivered to the desktop as fast as it could be. Files stored contiguously, on the other hand, have each portion of the file following on from the other, therefore, the drive heads are not bouncing over different parts of the hard drive platter desperately trying to seek the file’s component parts. While PerfectDisk can boast both Single and Enterprise users the interface is surprisingly user friendly. As standard PerfectDisk ships with a client interface, however, for Enterprise customers there is a free Command Center Management Module that enables an administrator to see at a glance a summary of fragmentation issues on managed computers. To ensure perfect optimisation PerfectDisk uses the SMARTPlacement™ optimisation strategy. This effectively places files on the hard disk according to the user’s unique usage pattern. By using this strategy both time and resources on future defragmentation runs are greatly reduced. While many defragmenters simply move all of the files on the hard drive around during the defragmentation process, PerfectDisk only moves the files that do not conform to the user’s usage pattern, consequently resulting in faster defragmentation of the hard drive. A valuable asset of PerfectDisk is its Consolidate Free Space defragmentation option. This allows the user to not only defragment the part of the disk containing files, but also to defragment the free space on the hard disk too, thus creating the largest piece of contiguous space. This option can be particularly useful prior to re-sizing partitions or, in an Enterprise, when compressing virtual hard drives in a virtual machine environment. With most defragmentation software, Windows’ own defragmenter being a case in point, files such as Page file, Hibernation file and files that are currently being used are never touched. With PerfectDisk's Offline Defragmentation option PerfectDisk will first try to unmount the drive. If this is not possible then you will be prompted to schedule an offline defragmentation pass the next time you boot your PC. The defragmentation of these files will then take place in the pre-Windows environment (DOS environment). PerfectDisk can also be scheduled to run this offline defragmentation on a regular basis every time you boot the PC. 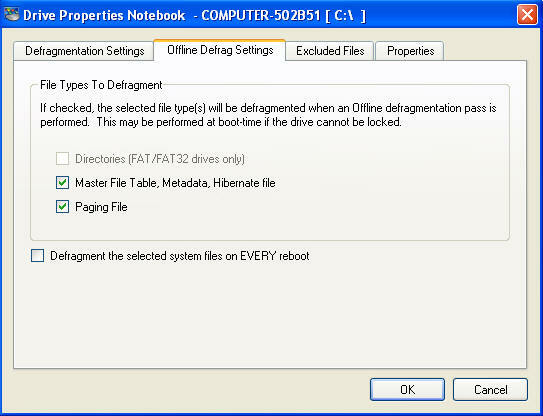 Fig: 3 PerfectDisk defragments MFT, Metadata, Hibernate file and Page file. With PerfectDisk’s new Power Management feature you don’t even have to worry about running the system on battery power. PerfectDisk can instantly detect whether the system is running on battery power and can decide for itself whether to start defragmentation or, if defragmentation has started when battery power kicks in, whether to stop the defragmentation process to save battery power. This option is a God send for those users with laptops or Enterprise users who rely upon Uninterrupted Power Supply (UPS) batteries during power outage. PerfectDisk requires around 5% free space to operate and can defragment a hard drive using a single pass. Because PerfectDisk is capable of defragmenting the Master File table, page file, hibernation file and all metadata no file or directory is left unfragmented. CPU usage is extremely low, with PerfectDisk able to automatically detect if the drive is busy and adjust the I/O usage accordingly, so defragmenting in the background doesn’t then impact upon other applications you may have running. Disk defragmentation is a fact of life, but it needn’t be a burden. PerfectDisk is a feature rich defragmenting application and regular use will not only keep your file system in tip-top condition, but will also keep your PC running at optimum performance. Of all the defragmenting software I’ve used PerfectDisk is by far the best. So much better that it is simply Brilliant!